If you’re going out for St. Patrick’s Day, SoberRide has you covered for a safe ride home. 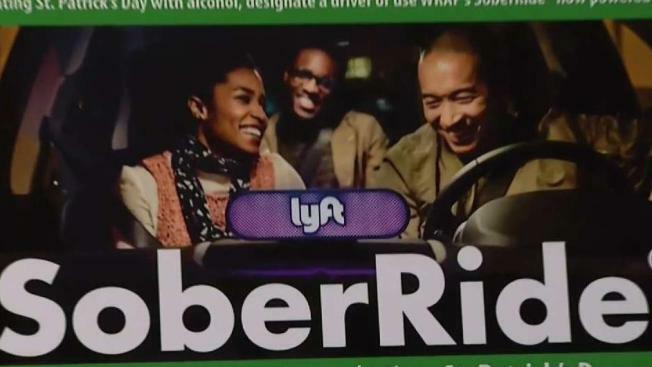 From 4 p.m. Saturday until 4 a.m. Sunday, SoberRide will partner with Lyft to provide revelers with a free ride. The offer only covers a fare of up to $15. To claim the free ride, visit SoberRide's website at 2 p.m. Saturday to get the promo code. Once you have it, enter it in the "Promo" section of the Lyft app. The code will be valid for new and existing Lyft users in the app’s D.C. coverage area (which extends into Maryland and Virginia). You must be 21 or older to use the SoberRide service. SoberRide has been organized by the Washington Regional Alcohol Program since 1991 and in previous years offered free taxi rides on holidays where drunk driving is more likely to occur.